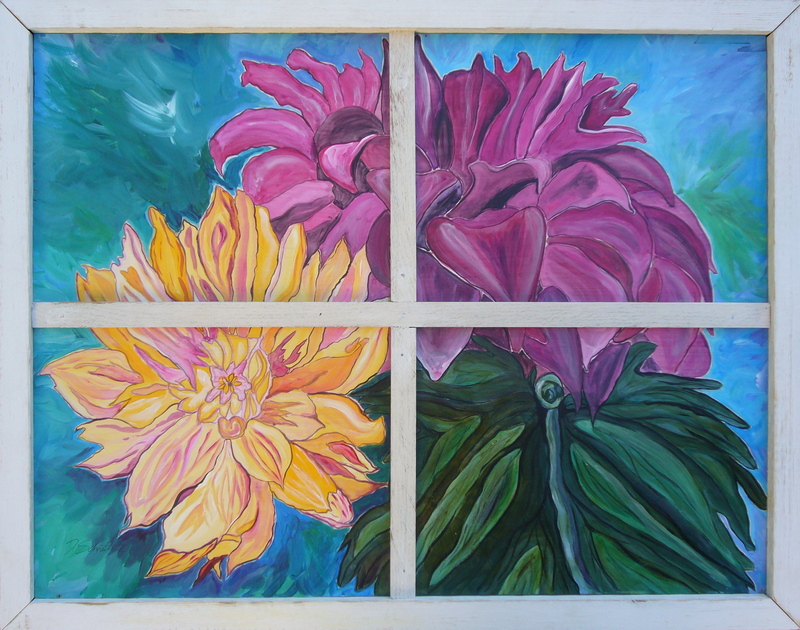 As many of you know, the deadline to the EcoSquared Art Show is November 21st. 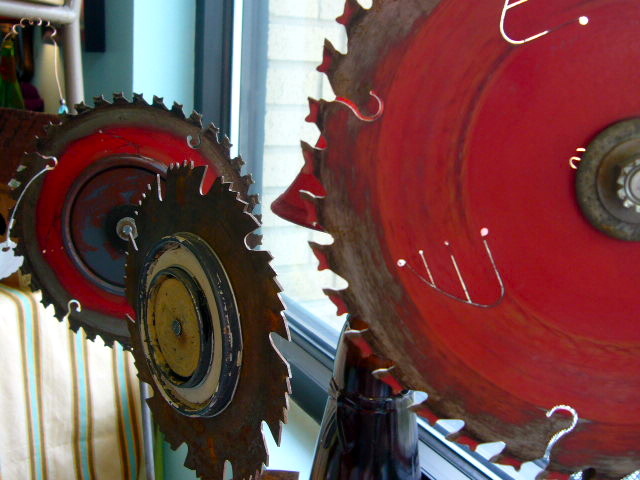 I thought I’d share with you some of the artwork in the gallery that incorporates upcycled materials. 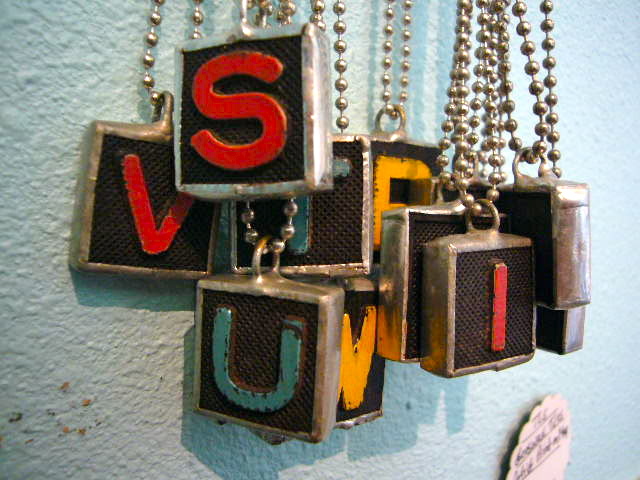 Upcycled is still a fairly new term, you can learn more here. 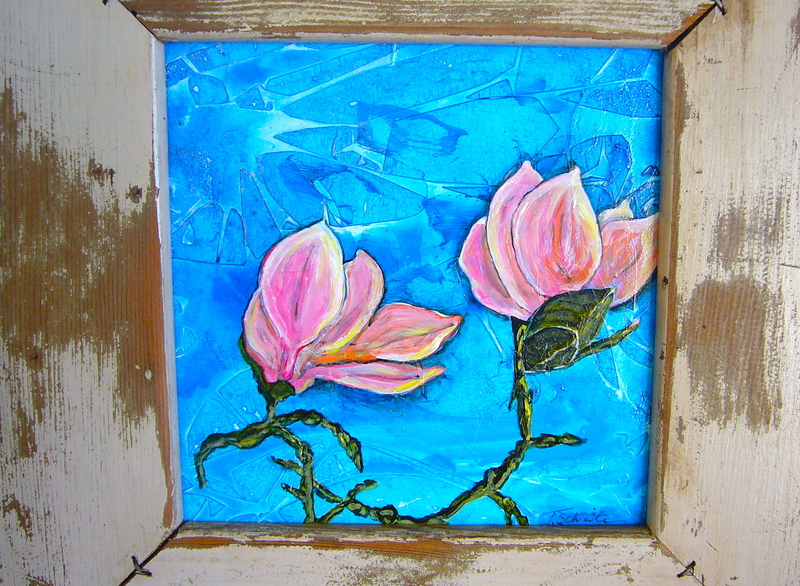 And remember, the main criteria for Ecosquared is to use something upcycled, have it measure between 6″ square to 8″ square, and have it ready to hang on the wall. We are so excited to see what all of you creative Wisconsinites come up with! Please feel free to leave questions or concerns here in the comment section. Reclaimed steel and spray paint. “Birds on a Wire” artist Liv Aanrud. Acrylic house paint on upcycled canvas. 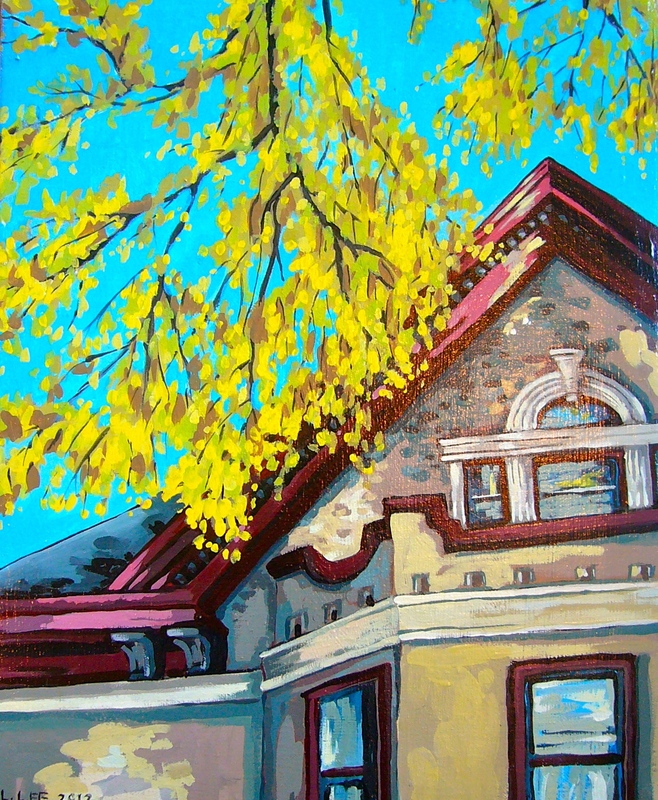 “Yellow Leaves” artist Lynn Lee. 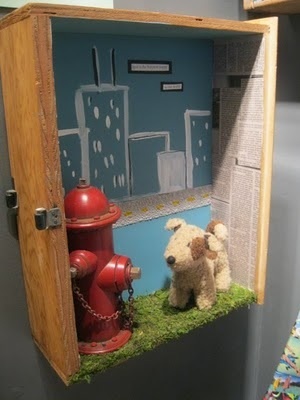 Diorama made from a drawer, newspaper and found objects. 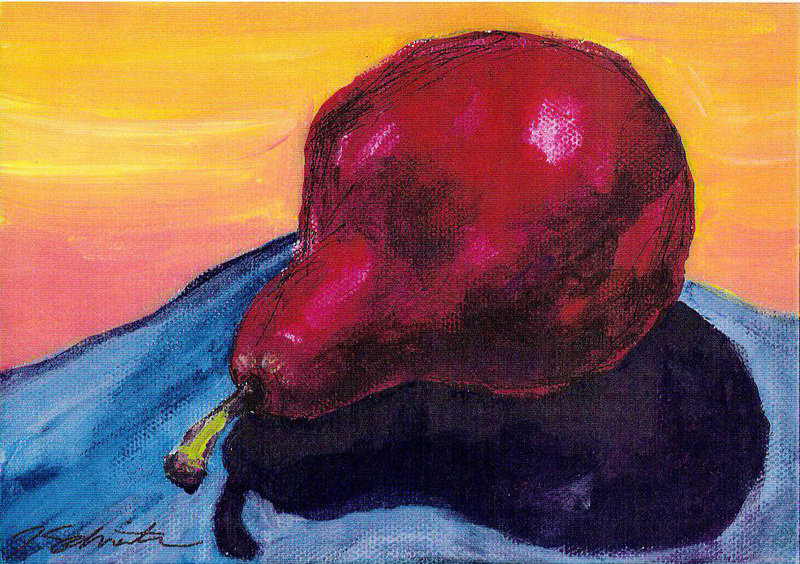 Artist Beth Heeney. 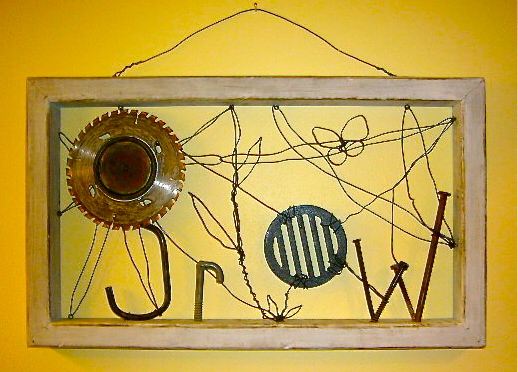 Wall sculpture made with reclaimed wood, found objects (saw blade, nails, drain cover) and wire. Artist Bryan Richgels. 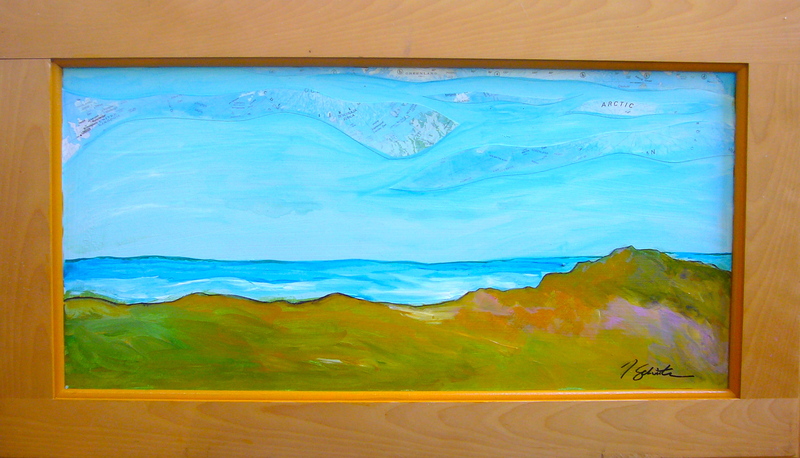 Acrylic painting with incorporated old maps on a cabinet door. 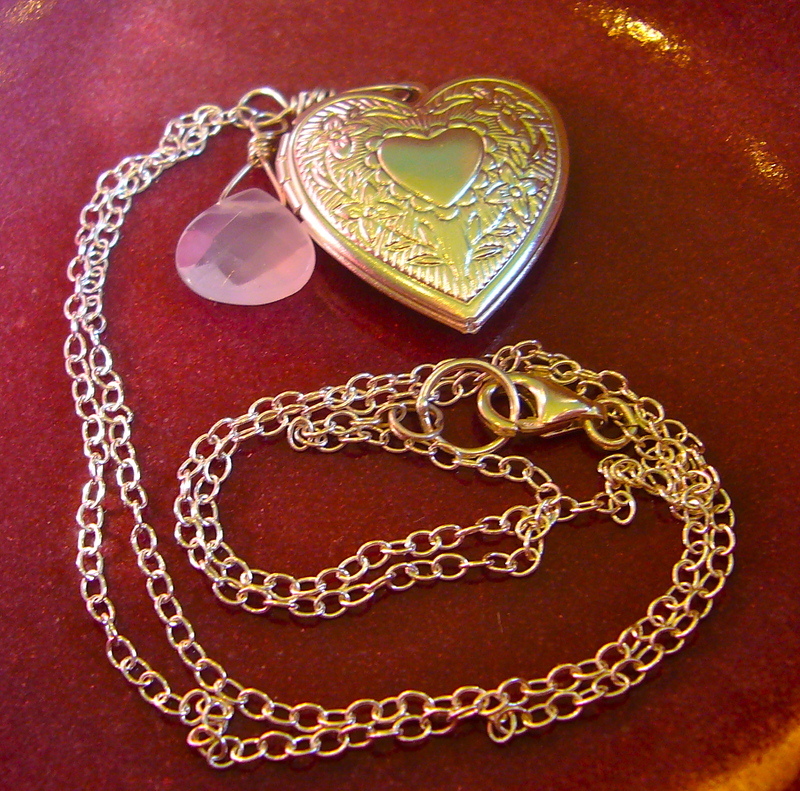 Artist Tammy Schreiter. “Spring”. 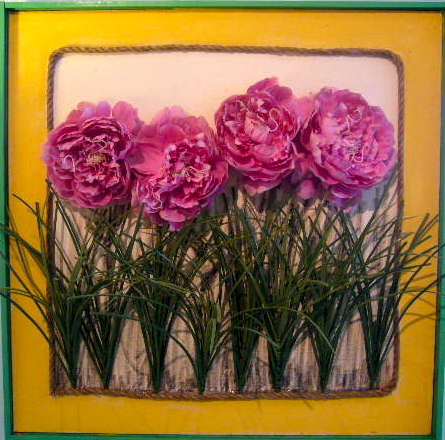 Found objects (silk flowers, fabric, rope) on upcycled canvas and frame. 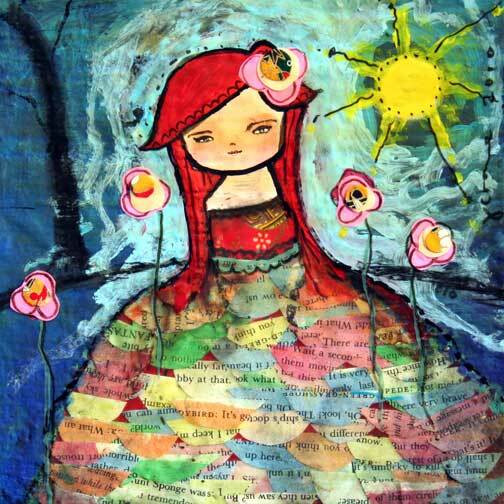 Artist Beth Heeney. 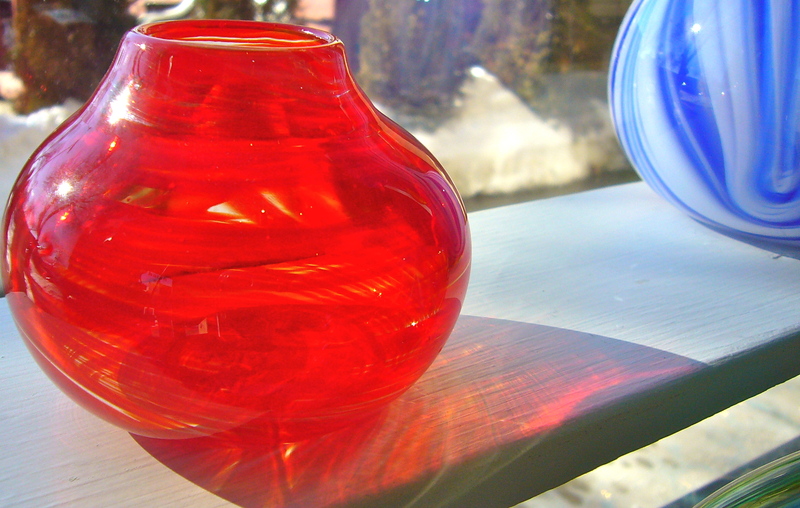 A place for your favorite flower; hand blown glass mini vase- Nathan Gieseke $42. 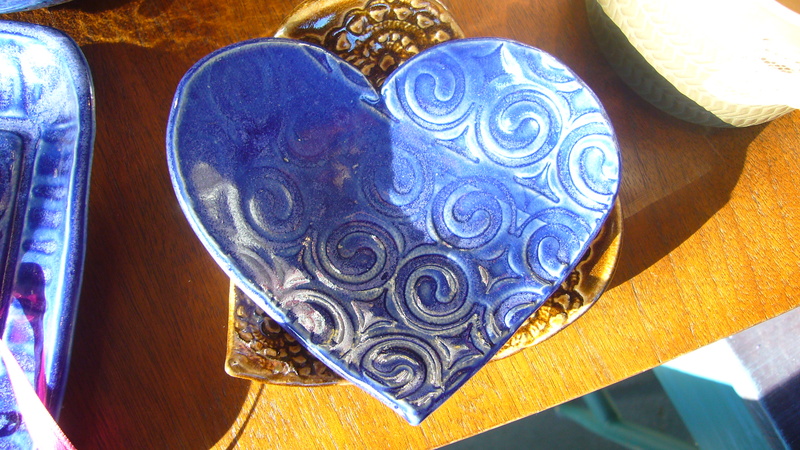 Perfect for your jewels...Ceramic textured Heart Dish- Jenny Blasen Pottery $12. 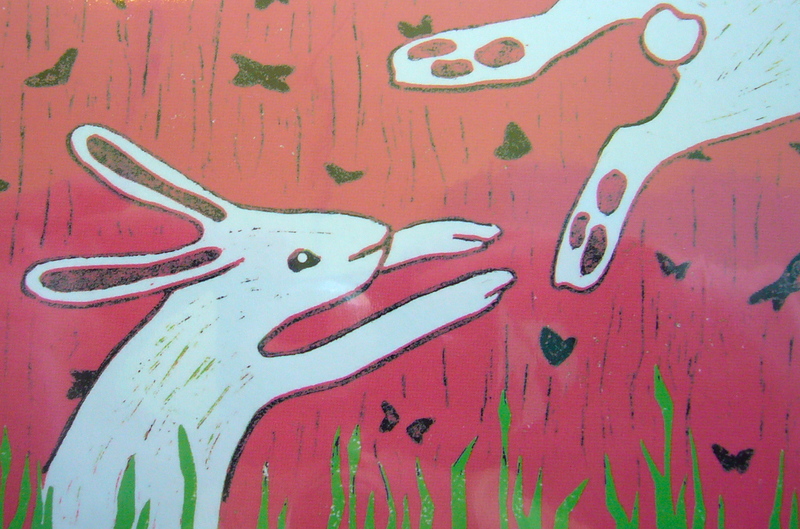 "Learning To Frolick" Linocut print, Juliet Darken- 11x14 $40, greeting card $5. 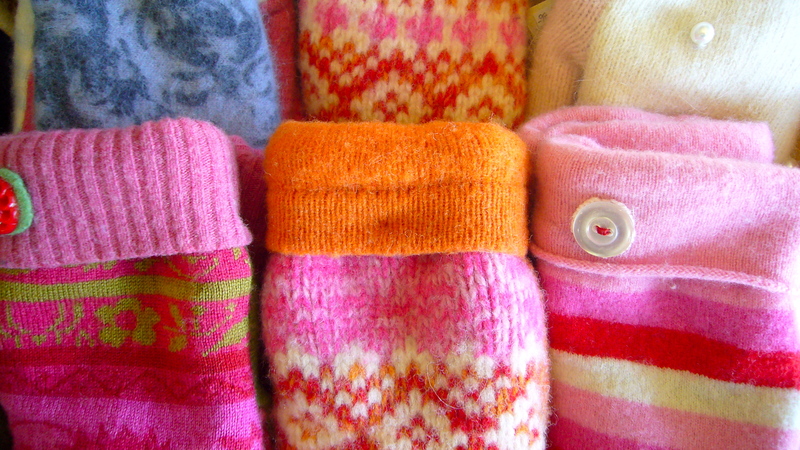 Warm and cozy, Recycled Sweater mittens; Naystalgia Vintage Creations $36. 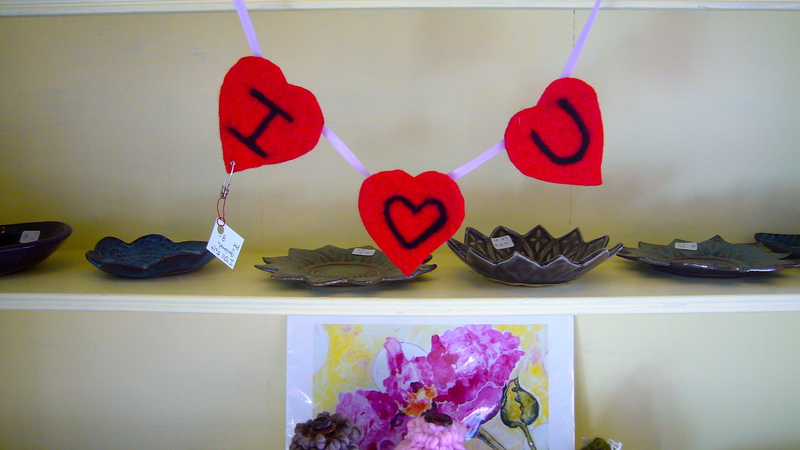 "I heart U" banner; Purple Moon Fibers $8. 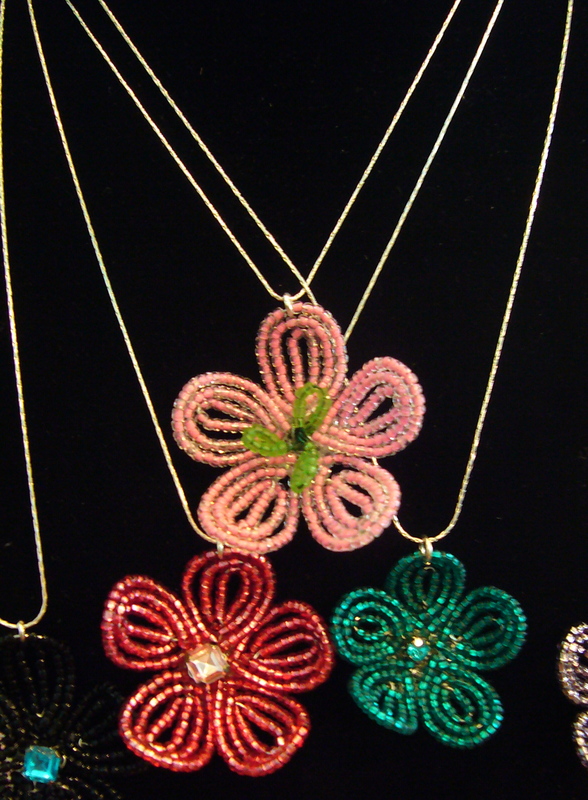 Saw blade flowers. 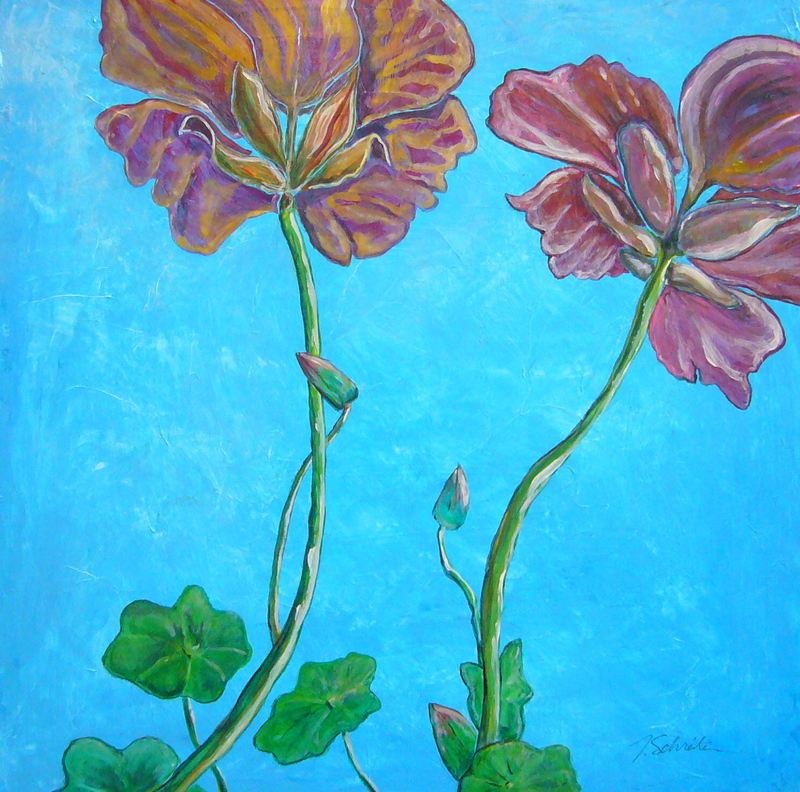 Artist- Bryan Richgels ($48) No wilting petals here! 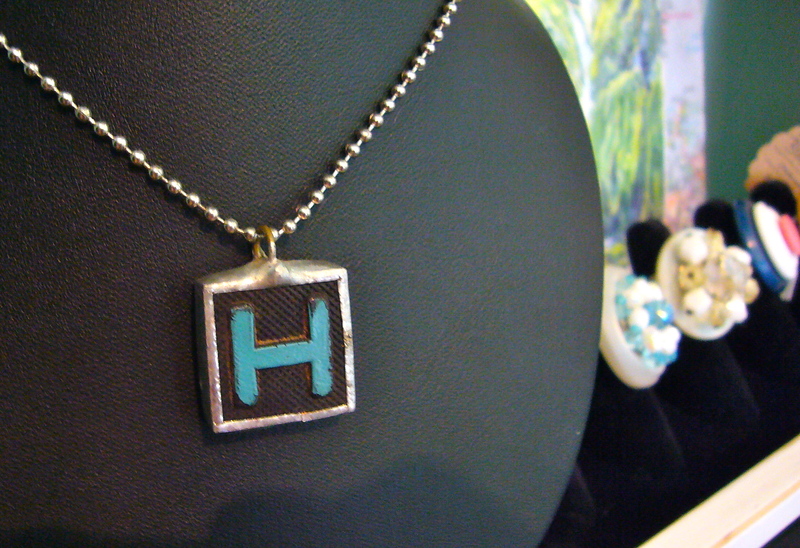 Anagram necklaces by Studio Debre. ($16) The original scrabble tile! 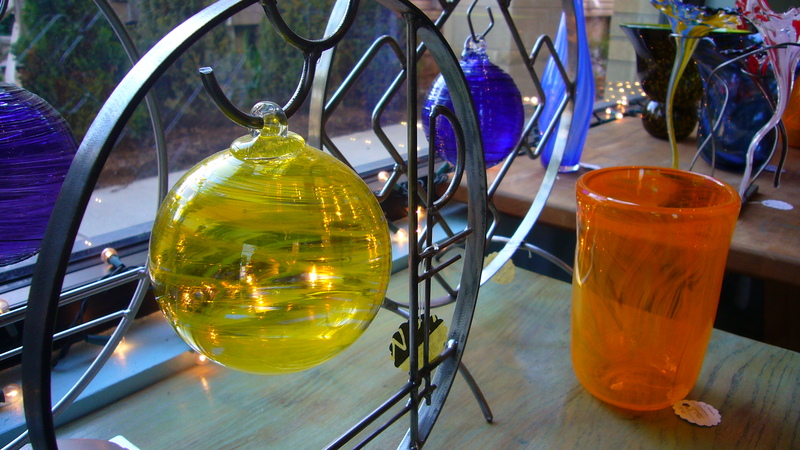 Glass work by Nathan Gieseke.